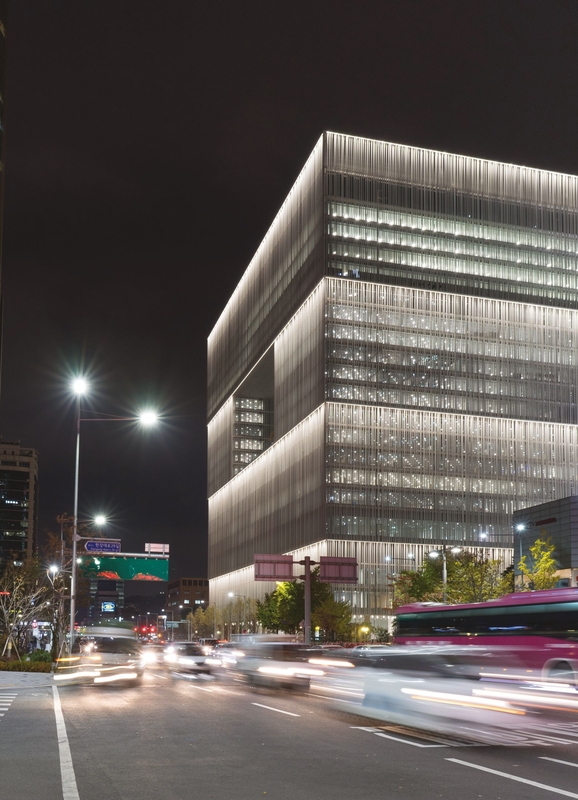 Viabizzuno won the international design competition to develop and supply light fittings for the headquarters of amorepacific, a korean cosmetics multinational. with a total floorspace of 190.000sqm, the building is located in a former military area of seoul currently undergoing urban redevelopment, on the border between the modern heart of the city and yongsan park, thus representing the meeting point between technology, human presence and nature. the david chipperfield architects studio of berlin, in charge of the architectural design work, wanted to use light to give a strong identity to the different areas of the building. the headquarters is in fact a composition of areas with very different functions: museum, auditorium, offices and sales area. and so was born the concept of a family of lamps with the flexibility to carry out different functions, offering a high quality of light but with low energy and above all very low maintenance costs. the lighting design created by the arup studio of berlin investigates the relationship between natural and artificial light, therefore Viabizzuno lighting expresses quality and high color performance recognizing the well-being of everyone working within building of artificial lighting having excellent quality and colour rendering characteristics. natural light enters the building through the large windows that are a feature of the façade, where a series of vertical aluminium elements provides a targeted control to eliminate any dazzling effect. 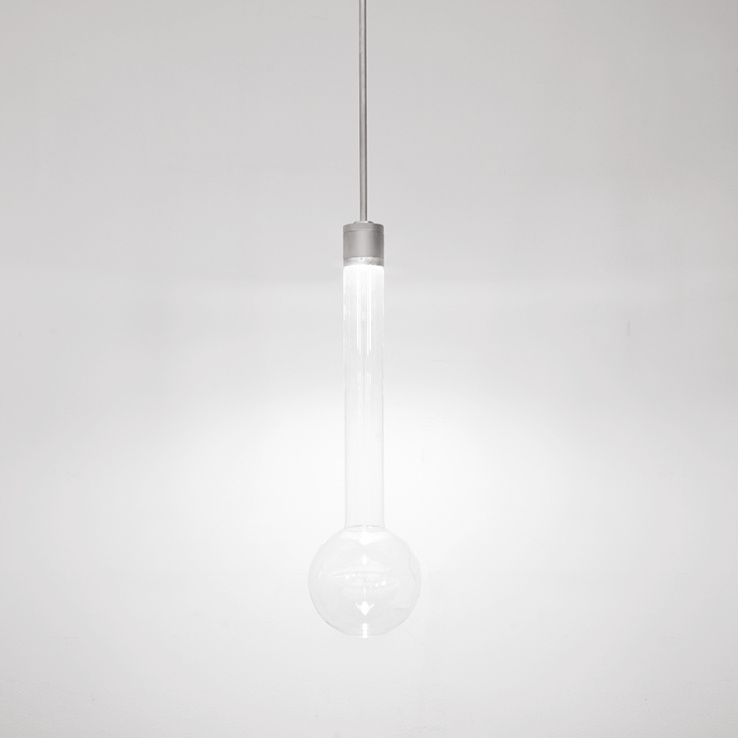 Viabizzuno worked in close collaboration with the two berlin studios to create a light that matches as closely as possible the characteristics of sunlight. to achieve this goal, amp was born, lamps that are the only ones of this kind in the world, that revolutionises the way of conceiving optics. indeed, lensoptica amP, developed for this project, endows the light sources with a high level of efficiency, achieved using a very hightransparency material, polymethylmethacrylate which, by means of catadioptric prisms which reflect 90% of the incident light flow and transmit 10%, guarantees an indirect emission percentage that is unobtainable using a metal reflector. the emitting surface consists of a matrix of micro-lenses that precisely regulates the angular amplitude of the light beam. the lenses have different variations in terms of the beam of light emitted (narrow, medium, wide, elliptical) and of dimensions (150mm, 180mm). they are all equipped with n55 quick coupling connectors that allow installation on a propulsore dinamico n55 and guarantee maximum flexibility in managing the light required by the various areas and in accommodating any changes in the arrangement of the furnishings. to ensure the maximum spatial and visual comfort of those working in the building, the power supplies are integrated on board the lamp and flicker free dali dimmable drivers with a dimming range of 1-100% are used. the lighting design calls for specific colour temperatures for different areas: 4000K CRI of 98 for the offices, sales areas and common areas, while a temperature of 3000K, with a CRI of 98, was adopted for the restaurant and the museum. all of the electronic led sources have a 1 step macadam ellipse. an important part of the project was the study of the assembly and wiring details that Viabizzuno has developed in collaboration with the architects, electricians and installers to simplify the installation of lighting equipment and make it effective. 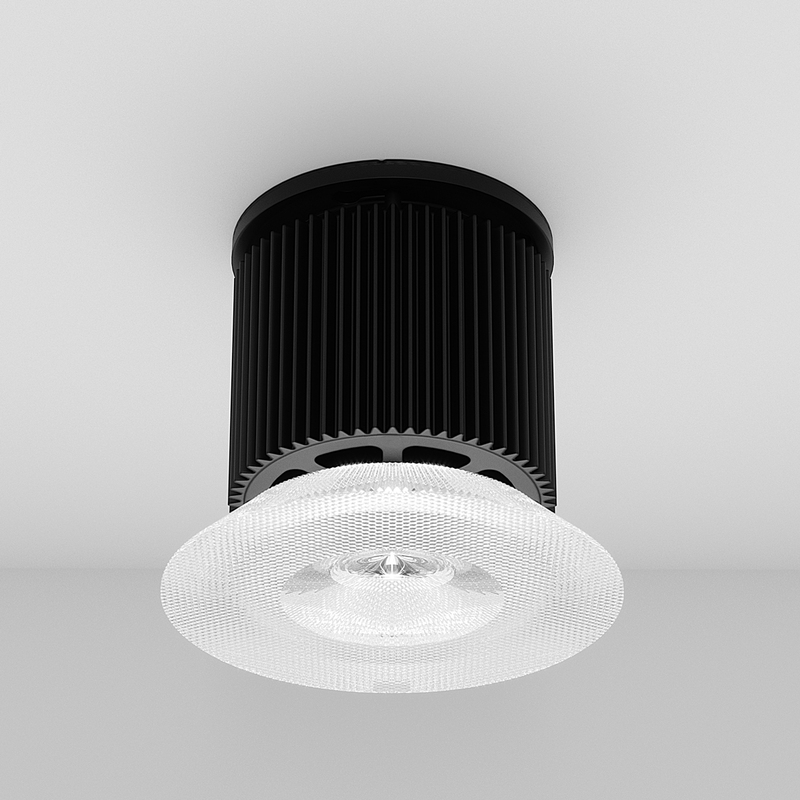 the amp lamp body, consisting of a finned extruded aluminium heatsink, in fact provides for three different types of installation: ceiling, suspension or recessed. the last mentioned accounts for the majority of the more than 22.000 light fittings supplied. a bracket equipped with a mechanical centring system allows the luminaire to be secured to the floor, while at the same time ensuring positioning that is perfectly centred on each ceiling square. in this type of installation, a lens equipped with a casing is used to avoid illuminating the floor slab and the overhead systems. the ceiling mounted lamps have a body identical to the recessed version, differing only in the method of clamping. as required by the lighting designers of the arup studio, the lens emits a light directed towards the floor, to which an indirect contribution is added to illuminate the ceiling. the suspended light fittings offer two solutions, both with direct and indirect light. in the restaurant, the architects chose to use n55 sospensione with a 55/350 type propulsore dinamico n55, equipped with 150 narrow optics, to concentrate the lighting on the table. in the monumental atrium of the entrance hall the second solution with suspended units was adopted, luminaires consisting of a 55mm diameter tube that supports the heatsink, equipped in turn with a narrow optics 300mm diameter lens. configured in this way the lamp produces an effective flow of 6700lm, allowing the large volumes of the atrium to be illuminated effectively. great attention was paid to the maintenance requirements, choosing to use a single lamp body and only three power supply models for the entire system, interchangeable lenses and light fittings that are easy to remove. the lighting performance of the amp family goes hand in hand with the concept of sustainable architecture, thanks to several characteristics including its high illuminating effectiveness, which reaches 114lm/W, and the possibility of recycling the materials used. in fact, in the event of a fault, the lamp body must not be disposed of. instead it can be regenerated and installed anew, in order to maximize the recycling of the components. thanks to the experience of Viabizzuno in the use of light, to the attention paid to the design by the chipperfield studio and to the advanced research in the field of lighting of the arup studio, this project has made it possible to develop lights fittings with the flexibility to meet different needs and with sophisticated optics, that offer light of very high quality.